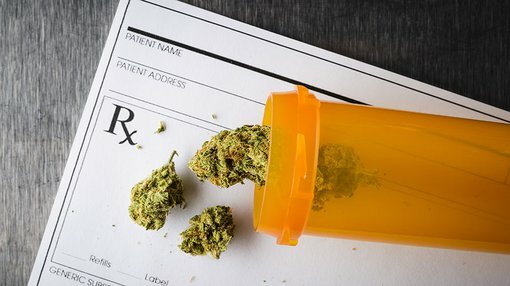 MGC Pharmaceuticals (ASX:MXC) announced today that it has attained interim Good Manufacturing Practice (GMP) for its recently completed European medicinal cannabis production facility. The interim certification is one of the final steps towards full GMP certification, with the latter allowing MXC to distribute its CannEpilTM product as well as other pharmaceutical-grade medicinal cannabis products. The interim certification will pave the way for MXC to commence production of its first batch of CannePilTM. Upon completion of the first batch, the product will undergo validation of manufacturing and rigorous analysis before being approved for wider production. CanneEpilTM is MXC’s first medicinal cannabis offering, which targets drug resistant epilepsy, also known as refractory epilepsy. Refractory epilepsy affects 30 per cent of the estimated 240,000 people diagnosed with epilepsy in Australia annually. The company has partnered with Australian pharmaceutical distributor, HL Pharma Pty Ltd, to bring CannePilTM to the Australian market. Under the agreement, HL Pharma is responsible for ensuring Therapeutic Goods Administration (TGA) and Office of Drug Control approval to import and supply the products in Australia. Upon Australian regulatory approval, CannEpilTM is projected to generate approximately A$1 million per annum in its first full year of distribution. Projected revenue is modelled on less than 100 current patients registered through MXC’s relationship with Epilepsy Action Australia. The company also indicated that full GMP certification for its extraction facility remains on schedule, with the expected certification to place MXC in an advantageous position to capitalise on key markets in Europe, North America and Australasia. Co-founder and CEO of MXC, Roby Zomer, commented on the promising update. “MGC has a vision and defined strategy of becoming a leading pharmaceutical-grade medicinal cannabis company and the receipt of GMP certification for our European manufacturing facility is a key milestone in this journey. “Once we receive full certification, we will be positioned to rapidly progress our operations in Europe with a core focus on medical research and development of the company’s pharmaceutical products pipeline,” Zomer said.